Boston City Campus & Business College has launched a new commerce degree. Called BCom Management Marketing, the degree is expected to become a sought-after qualification by employers and entrepreneurs alike. Driven by new technology as well as social and economic developments, these fields of the economy have evolved in leaps and bounds during the last few years, she points out. And whether the economy is experiencing a cycle of growth or a downturn, qualified entrepreneurs, managers and marketers remain in demand. She refers to The Majority Report, UCT Unilever Institute of Marketing’s newly released research project. The Majority Report looks at South Africa’s mass market — the 21.5 million adults and 14.5 million children who live in households earning R5 000 and states that marketers have yet to make the most of this untapped market. UCT’s Professor John Simpson says the spending power of the majority might not be powerful on a macro level, but on a micro level “it is huge”. Tiger Brands, Nedbank, PEP, Parmalat, Multichoice and Unilever sponsored the research. In the longer term, and viewed against the backdrop of the government’s strategy to create a sustainable economic growth rate, Simpson believes marketers cannot afford to overlook this massive portion of the population. Boston’s BCom Marketing Management is sure to keep bright minds engaged with modules like Business Management, Financial Management, Entrepreneurship, Company Law, Economics, Computer Literacy, Marketing/Brand Management and Research, Industrial Psychology and Project Management. The degree has gone through the entire process of accreditation with the Council on Higher Education (CHE) and Boston has received the green light from the Department of Higher Education and Training (DHET) to offer it from 2013 onwards. First semester modules are scheduled to start on February 18, 2013. Prospective students are invited to contact the Head Office or any of Boston’s Tuition Centres countrywide for more information or to apply. Alternatively, they can visit www.boston.co.za/het and apply online at www.boston.co.za/hetapp. Applications will open on January 7 and close on February 1, 2013. There are no application fees payable. A great benefit of enrolling for the BCom Management Marketing is that prospective students don’t have to enrol at a university far away. “With the cost of living and travelling rising every so often, many people are opting to access higher education and training closer to home,” Rabson points out. “Boston is working hard at making post school studies – including degrees – more accessible to more people, and so we are offering the BCom Management Marketing enriched with electronic, video and online means of interactivity. This effort is supported by our network of tuition centres which grants access to computers, online assessments, Technology Based Training material, electronic library facilities, examination venues and administrative services. All students, especially those without computer or internet access, are recommended to select a tuition centre and encouraged to make daily use of the facilities for the duration of their degree studies. 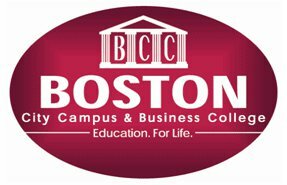 Boston City Campus & Business College offers over 80 dynamic career courses over 40 branches nationwide. Unisa degrees & media studies are also available at selected branches. Contact the Boston Head Office in Orange Grove on 011 551-2000, e-mail [email protected], visit www.boston.co.za, or Facebook. 1) Qualification – Bachelor of Commerce in Management Marketing or B.Com. (Management Marketing); SAQA ID 88683, NQF Level 7, minimum credits 374. 2) Minimum entry requirements – 1) National Senior Certificate (NSC) with English as one of the subjects passed and with endorsement for admission to Bachelor’s degree study; or 2) National Certificate (Vocational) (NC(V)), with English as one of the subjects passed and with endorsement for admission to Bachelor’s degree study, or equivalent qualification. 4) Applications – open January 7 and close February 1, 2013. 6) Starting date – courses starts February 18, 2013.